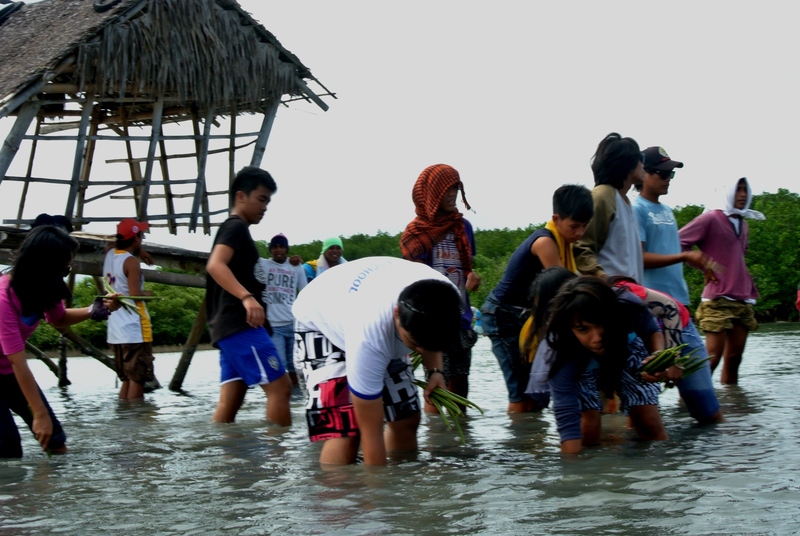 On January 2013, Bayanihan Foundation board member James Castillo went to Liloan, Cebu, Philippines, where he led a youth workshop and planted thousands of mangrove seedlings as part of the foundation’s projects for environmental renewal and sustainability. For the next five years, the Bayanihan Foundation supported a fisher folk community in Liloan, Cebu and continued planting thousands of mangrove seedlings there. The fisher folk community formed a self-help organization called PAKAMA (Pakigbisug sa Kabus nga Mananagat/ Poor Fishermen’s Struggle) in Barangay Calero. The youth also formed their own organization, “Youth for Nationalism and Democracy” (YND) Liloan chapter as part of their leadership development. 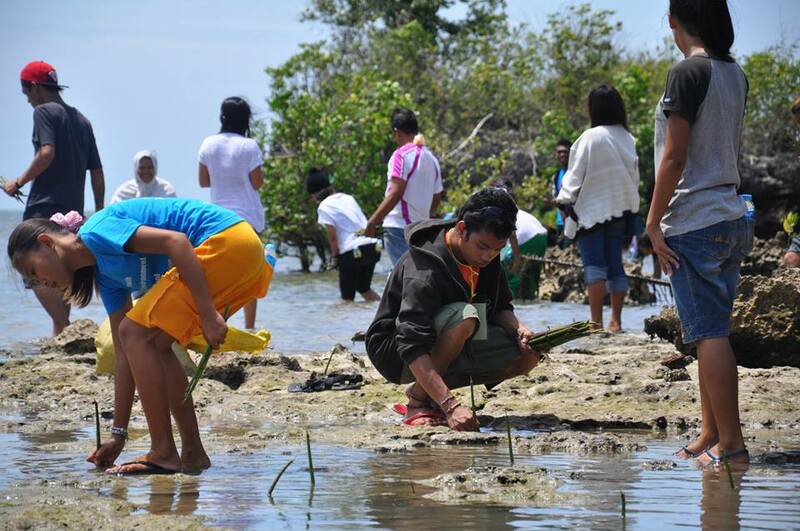 Since then, the Bayanihan Foundation has supported the planting of 30,000 mangrove seedlings and the training of hundreds of youth in environmental leadership to fight climate change. 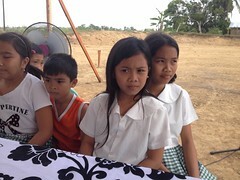 On September 2018, Bayanihan Foundation Liaison Evelyn Castillo went back to Liloan, Cebu and revisited the thousands of mangrove seedlings planted. Evelyn was pleasantly surprised to see some of the mangrove seedlings to have bloomed into fully matured mangrove trees that now protects the cove and sustains more fish and wildlife. The fisher folk community of PAKAMA have protected the mangrove seedlings and helped them mature into mangrove forests despite the imminent threat of commercial resorts and modern development nearby. The fisher folk community understood that the mangrove forests serve as an important part of their survival. The mangroves serve as a nesting ground for marine life. The fisher folk knew that if the mangrove forest disappear, their livelihood will also eventually disappear. 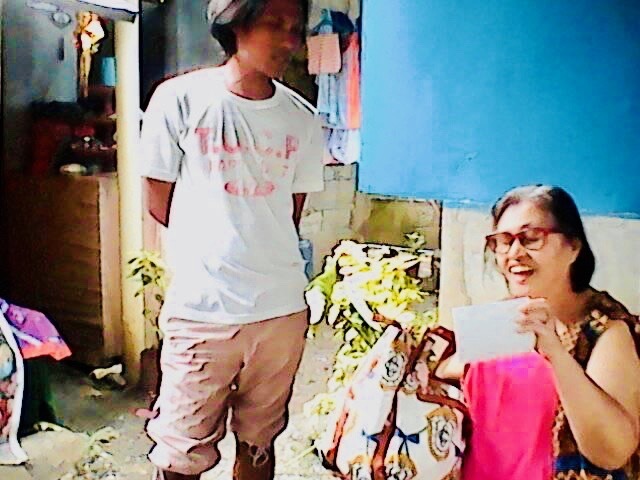 Evelyn Castillo also have spoken to some of the past participants of the youth group, “Youth for Nationalism and Democracy” (YND) Liloan chapter. They described how invaluable was the leadership development trainings they have participated. The mangroves that were planted five years ago have now grown. They are showing plenty of leaves and some have matured to be fully grown mangrove forests. Mangrove trees grow slowly and takes years to mature. Planting mangroves is also not easy. Despite the years of planting mangroves and the hard work of the fisher folk community, these efforts will go to waste if the government decides to give the land to investors who do not care about sustainable development. Can we do something to declare these areas as permanent mangrove forests for environmental sustainability? The fisher folk community in Liloan also continue to face other challenges. Unfortunately, the local fisher folk organization do not have strong allies and many are still struggling to earn a decent living. They don’t have a lot of resources to fight big commercial developers and corporations who want to convert the forest into urban development. 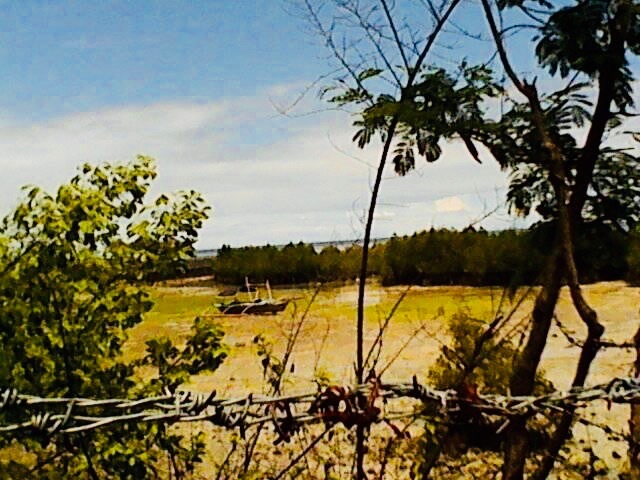 Some of the local politicians do not care if the mangroves get converted to commercial properties. Some of the people who live on the island also do not care if the mangroves get chopped down just because they do not directly depend on fishing as a means of livelihood. The Bayanihan Foundation hopes to continue working with the Visayas Mindanao People’s Resource Development Center (VMPRDC) and plan together on how to sustain the progress that’s been made. The fisher folk in Liloan continue to be hard at work in protecting the environment despite their meager access to resources. The Bayanihan Foundation urges its donors, supporters, and Filipinos in the diaspora to continue supporting this important work. This entry was posted in climate change, Diaspora Giving, environmental sustainability and tagged environmental conservation, Philippine giving, youth leadership development. Bookmark the permalink.